BRYAN EATON/Staff photo. 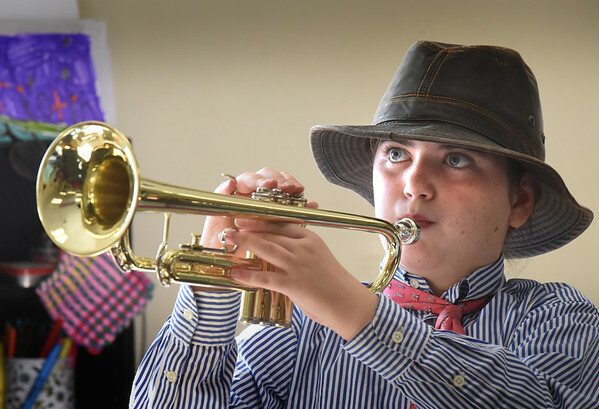 Piper Allard, 11, holds still until someone pushes a fake button bringing to life the trumpet play of Louis Armstrong who she's portraying at the River Valley Charter School. The students did a bit of a twist when it comes to Halloween, reading biographies based on someone “Dead and Famous” the bringing the people to life in a pseudo wax museum environment.